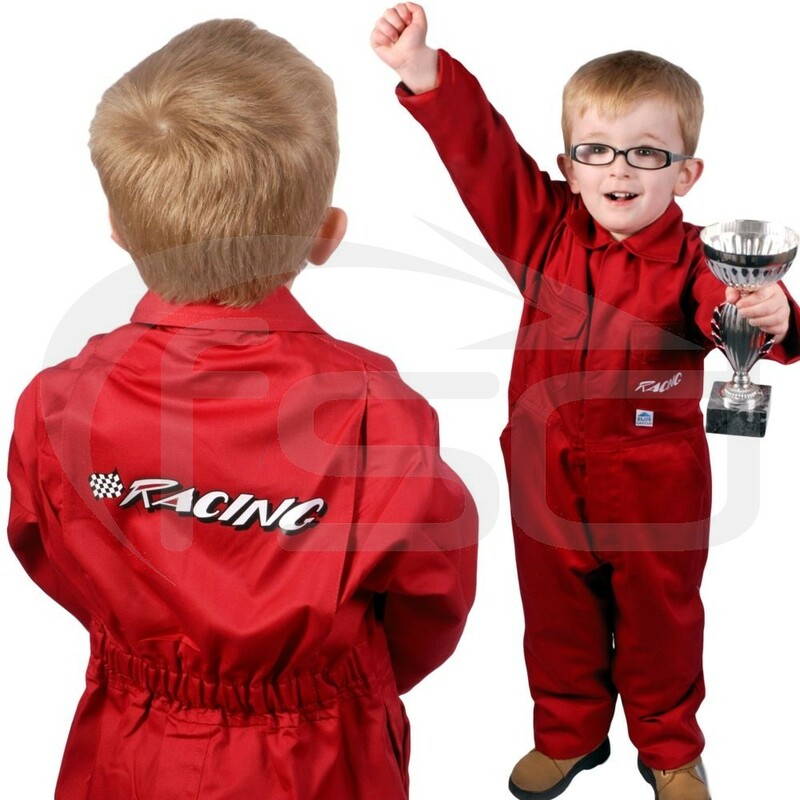 Clearance Kids "Racing" Coveralls (Size 32"/82cm) in Red. Brand New, only 1 left in this size. Printed with word "Racing" on the front and across the back. Back also has a chequered flag motif.